ACS (Hull) LTD Chimney Sweeping offer a professional Chimney Sweeping solution for the Hull and East Yorkshire (East Yorks) area. 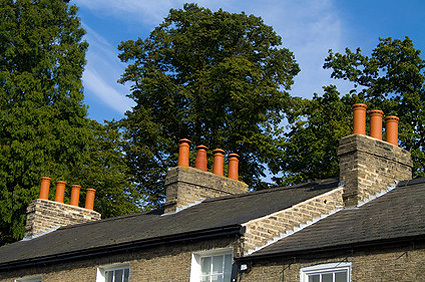 If you are having problems with a chimney, then ACS (Hull) LTD can help. If you notice that you have downdraughts or smoke coming downs the chimney and into your home or work place then call ACS (Hull) LTD for our professional chimney sweeping services. a) For 3 storey buildings / large Victorian buildings / tall town houses add £5.00 to the above. b) Excessive soot removal will be charged at an extra £5.00 to cover disposal and additional hoover bags. c) Prices include standard smoke draw test, sweeping of flue with a brush, removal of debris and certification for your house insurance and safety. 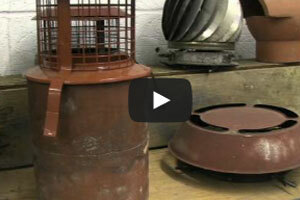 e) Any birds nests removal will be charged £15 upwards depending on how much of the flue is blocked. Advice of extra charges will be given over the phone or on arrival. d) A call out charge of £25 will be incurred if your stove cant be swept due to not being fitted to building regulations. ACS Chimney Sweeping Hull are fully qualified, insured and well experienced chimney sweeping professionals. We're members of the ICS (Institute of Chimney Sweeps; A trade association for chimney sweeps run by chimney sweeps. It was established in order to provide the industry with a benchmark for quality and safety. It is now the U.K.'s largest chimney sweeping organisation. Safety is our priority and we always do the job correctly and to the highest of standards. The prices above are for your initial sweep. As we do not know what to expect when we arrive i.e: You may have not had your flue swept for several years, meaning your chimney needs extra attention and therefore additional time. 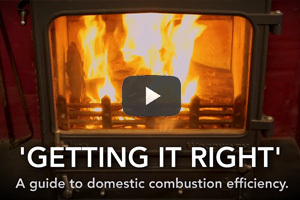 If you have your chimney sewpt regularly within our guidelines then you will receive a £5 discount the following year. 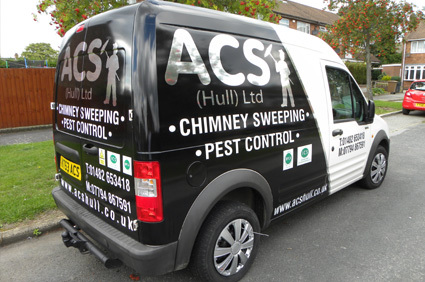 To find out how ACS (Hull) LTD Chimney Sweeping can help you with all your chimney sweeping needs call us on 07889 745 144. The chimney sweeping division of ACS (Hull) Litd was founded in March 2009 and although we are relatively new to the business we are already taking the leading position on the sweeping of domestic chimneys throughout the Humberside region. We are not a company that tries to hide our prices or tries some sales pitch over the telephone! We are not the most expensive, neither are we the cheapest. What we offer is a professional and clean service with full certification backed by The Institute of Chimney Sweeps. 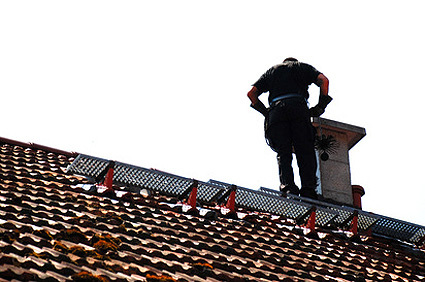 Our chimney sweeps are reliable, police checked, clean, courteous and professional. The majority of our business arrives through recommendation from existing and past customers. We pride ourselves on offering a competitively priced, high quality chimney sweeping service with excellent after care. We cover all areas of Hull and East Riding villages and now also cover over the bridge in Barton and it's surrounding villages. ACS (Hull) Ltd only employs polite and trained employees who are constantly improving methods of their work. We place the customers and their needs as the main priority of our activity. This and only this allows us to maintain the leading positions and our customers trust and respect. To find out how ACS (Hull) LTD Chimney Sweeping can help you with all your chimney sweeping needs call us on 07889 745 144. © ACS (Hull) LTD Chimney Sweeping All Rights Reserved.